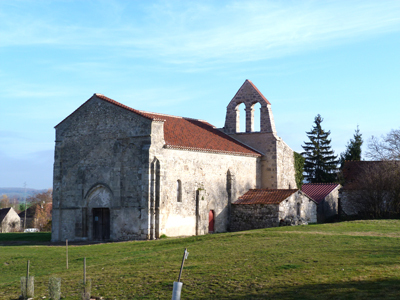 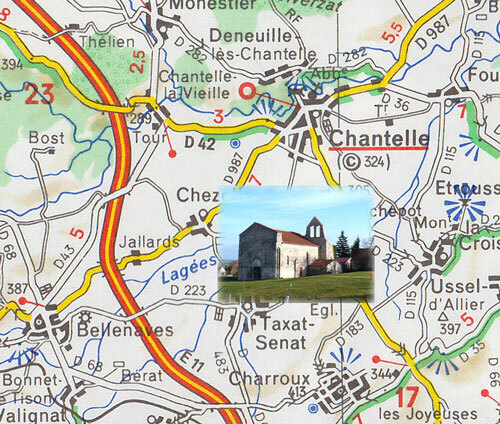 Saint-Andre Church, Taxat-Senat, dates from the 12th century, later sold on as state property, only to be abandoned in the 1950s. 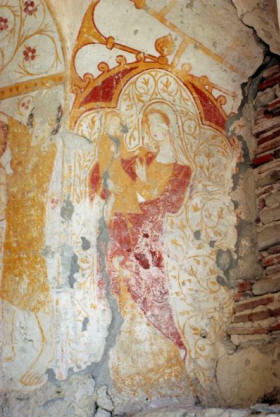 Restoration has been taking place for the last 20 years. 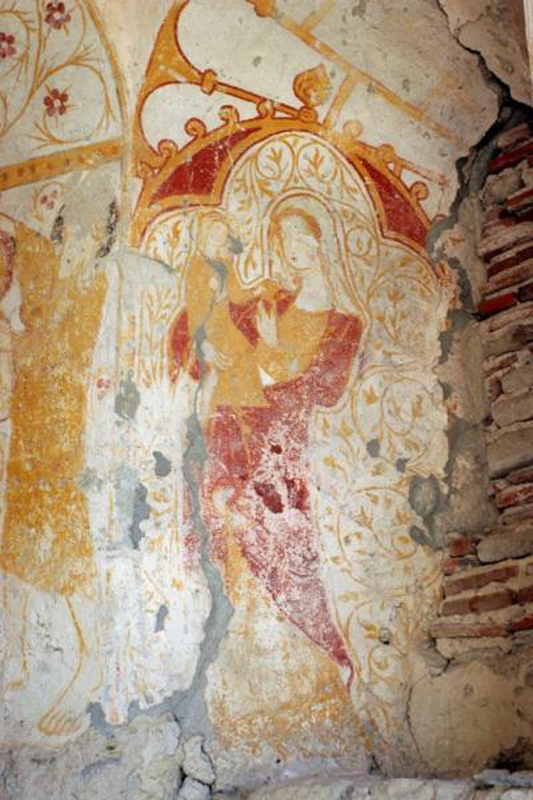 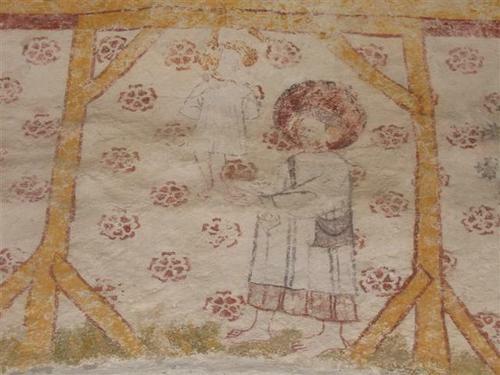 There are many frescos on a variety of subjects – Christ in majesty, the Baptism of Christ, the Pascal Lamb, side by side with, the Virgin and Child, the Annunciation, the Visitation, the Nativity, and the Adoration of the Magi.